Christopher Paulino, Caddie Scholar from Brae Burn Country Club, is currently a junior at Coastal Carolina University, where he studies Business Management with a specialization in Professional Golf Management. This year, Chris will be interning at Hudson National Golf Club as part of his final step to his 16-month internship program through PGM. He has completed internships at Upper Montclair Country Club in Clifton, NJ and at a club he knows well, Brae Burn Country Club. 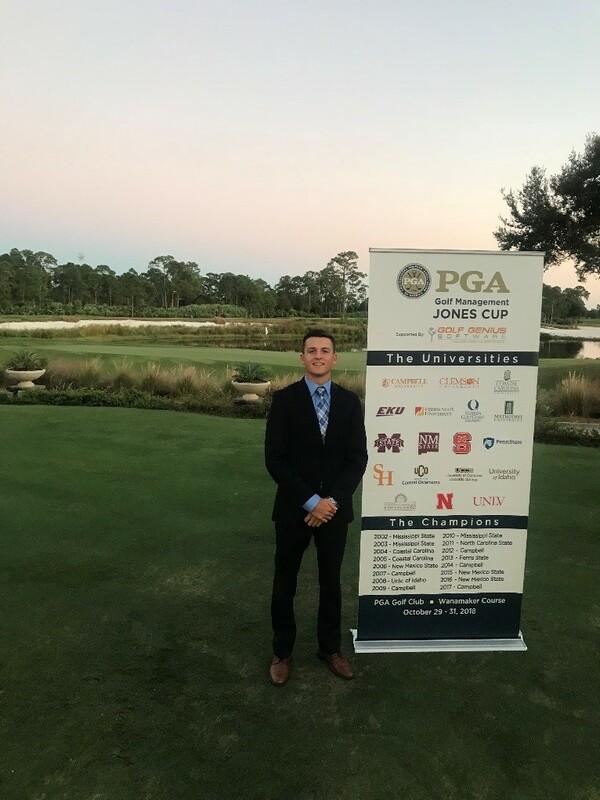 Of the eighteen universities, 90 players, competing for the Jones Cup on the Wanamaker Course, Chris took home 14th place. The eighteen universities represented in the competition are schools accredited by the PGA of America to offer the PGA Golf Management University Program for aspiring PGA Professionals. There are more than 1,700 students enrolled in the program nationwide. Q: What is your current major? What made you pursue your academic studies in this major? My current major at Coastal Carolina University is Business Management with a specialization in Professional Golf Management. Caddieing led me to pursue the golf business that ultimately led me to the Professional Golf Management Program. As Coastal Carolina being one of the 18 PGA accredited schools, it was also one of the only ones that gave me the chance to receive a degree in business where other schools did not have this opportunity. Q: What has your experience caddieing taught you? Caddieing has taught me many life attributes with a couple of them being responsibility, determination, networking, motivation, confidence, and to ultimately setting goals for myself. It has also taught me to hold myself to the highest standards possible at all times. These characteristics have shaped me into the person I am today and they have me on a path to becoming a Golf Professional. Q: If you were to give back to the community, how would you do so? If I had the platform to do so, I would like to hold several golf clinics in the area for kids. I strongly believe that the game of golf is the epitome of a life teacher, which will teach you many principles that will be used on and off of the course. Golf being introduced in the early stages will help develop them into successful adults. Q: What interested you in playing golf growing up? How was your experience playing at the Jones Cup and did it teach you anything? Growing up I was an extremely athletic kid who would play any and every sport. I initially started playing golf with my brother when he picked up the game in middle school, from that point on I stuck with it and fell in love with the game. My experience at the Jones Cup was one I will never forget. As a PGM student along with all of the other PGM students almost all of us once had a dream of playing collegiate golf and to get a taste of what it would be like to play in a tournament of that magnitude was very surreal. The Jones Cup itself taught me just to be confident and trust myself on a stage like that. As most of us players were nervous, I had a realization at the range before my practice round was that I am here on the team for a reason. I put a lot of long days practicing in to prepare myself for this event and had to trust myself that I was physically and mentally prepared for any circumstance that I faced. 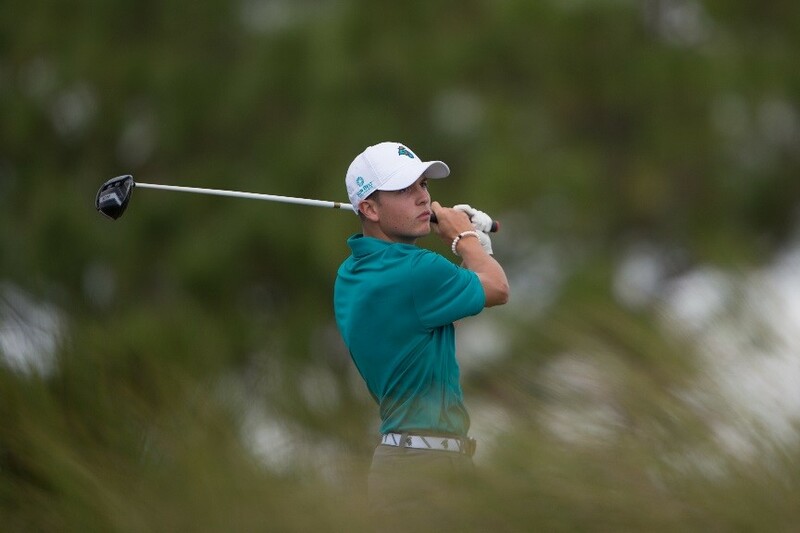 The Jones Cup also taught me to follow my dreams and goals, as an incoming freshman at Coastal Carolina I made it a goal to make the Jones Cup Team which is a great honor to be one of the top 5 players representing the school. My sophomore year I fell just short of making the Jones Cup team and made me determined even more to make it this year. It was with great satisfaction to qualify for the team, as it will be a highlight of college for me.